Enter your information HERE to gain access to our RANCH STYLE homes in Sandy Utah. Also get emails when we update our new subdivisions in Sandy Utah. See Our Sandy Utah Patio Homes Hot List For Sale. Are you wanting to find Patio homes? Or, wanting to buy something that is a ranch style home that is all one level? 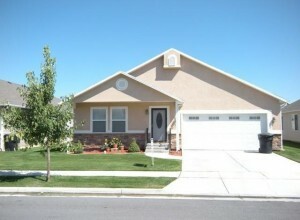 Here is a link for information about building a new home in Sandy Utah with a Gereral Contractor. We have connections with some of the top builders in Sandy Utah with new patio homes builders like Ivory, Candlelight, Fieldstone, Holmes, Edge, McArthur, Castle Creek, Brighton, Rainey, Destination, Garbett, Symphony, Nilson, DR Horton, Henry Walker, Richmond American, Edge, Arive, Haskell, The Jaffa Group, and other new construction companies in Utah. We can help reserve a lot or set up an appointment at one of these model homes in Sandy Utah. Be the first to know about these patio homes by signing up on our preferred buyer list. Learn about these listings before the masses do. UtahHomes.Biz locates homes that are built on all one level with no stairs. We notify buyers by email or by phone about new patio homes so they can view them and set up an appointment before anybody else does. We work as full-time Realtors in Sandy Utah and specialize in helping those who want to live in a house with no stairs. Some homes listings and lots go quickly due to size and demand… usually within the first couple of weeks. Sandy Utah One Level Homes – Get On The Exclusive Buyers List. It’s FREE! Because of the excellent home buying opportunity in today’s real estate we add new Patio homes listings in Sandy Utah that sometimes haven’t even hit the MLS or new subdivisions that allow building ranch style homes to our list weekly… and they tend to go fast. As soon as you sign up you’ll get full access to our current patio homes hot list in Sandy Utah.